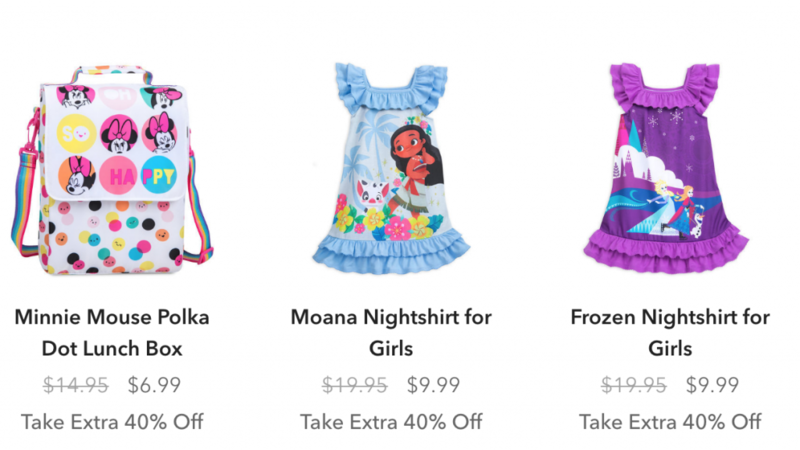 Shop Disney: Almost Autumn Sale Take An Extra 40% Off! Through September 3rd, Shop Disney is offering an extra 40% off already reduced merchandise when you use promo code EXTRA40 at checkout. Shop clothes, toys, accessories, home items and more. All at super low prices. This is the perfect time to stock up on souvenirs for an upcoming Disney parks trip. For example, girls night shirts are just $5.99!